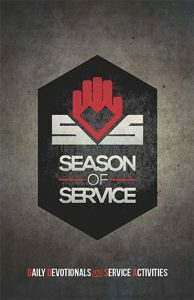 Each church department/ministry selects at least one service project that they as a team can participate in within the 40 day period. A Sabbath celebration of service in the local church to affirm and thank volunteers for their service at the end of the 40 days. We recommend that you invite and pray for civic leaders and local service organizations on this date.